Vintage Gal Antiques: Western Bonanza! Go West, Young Woman! 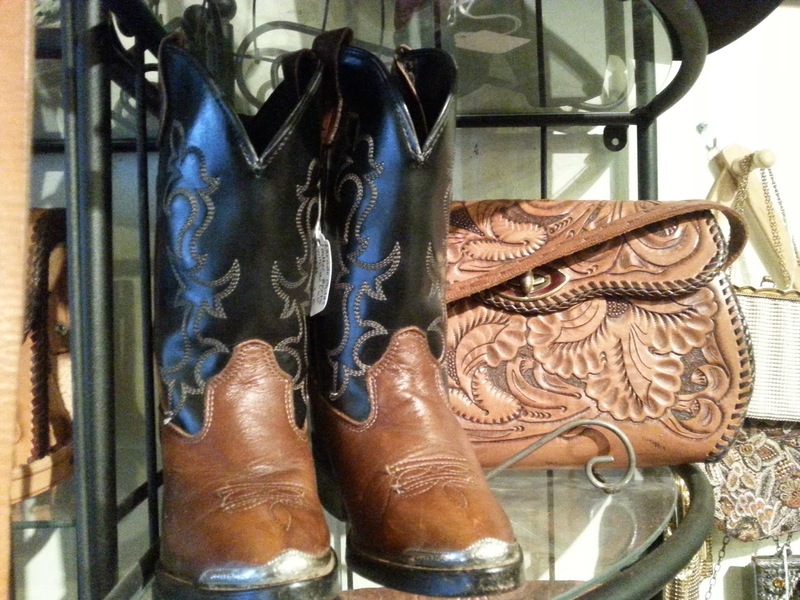 Over the last several months, I have accumulated a wonderful selection of vintage western boots and hand tooled embossed leather handbags! I love the beautiful leather designs on the handbags. 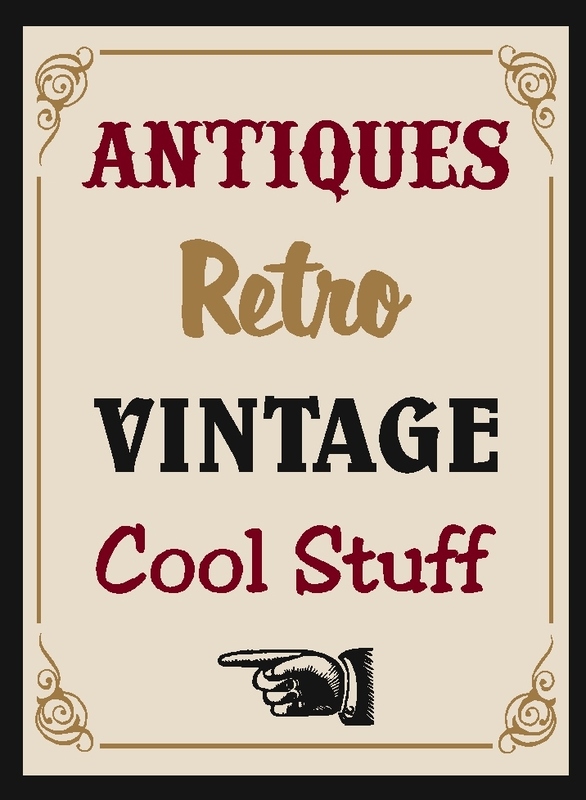 These are all in excellent vintage condition. The boots are all leather and made in the USA in a variety of sizes. Each pair is unique in design. 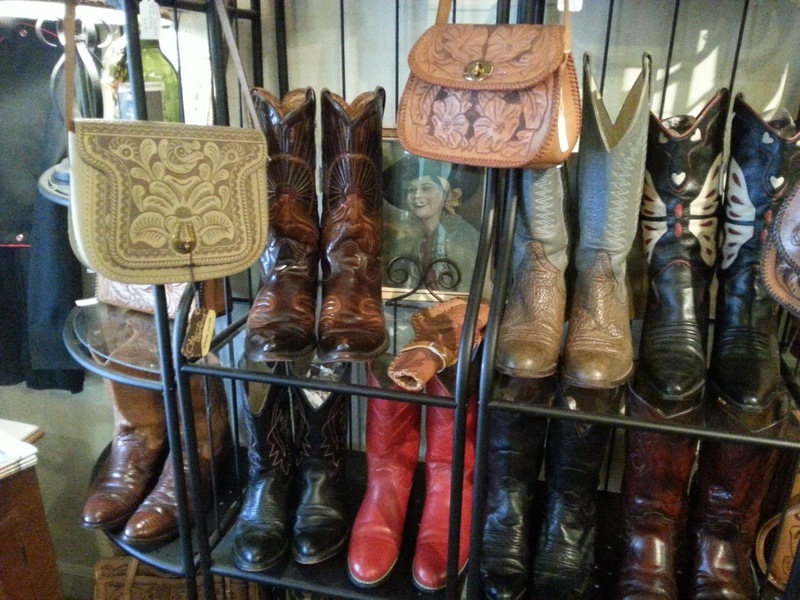 I think I can say this is probably the largest collection of vintage western boots and handbags in the area! Also available for sale are several western shirts and a red wool 1940's Mexican souvenir jacket. 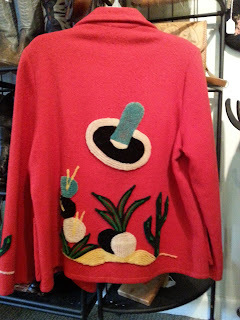 Made by La Muchacha, this hard-to-find jacket has a chenille sombrero design on the back. This is a really cool jacket! Several other western pieces of memorabilia are available. 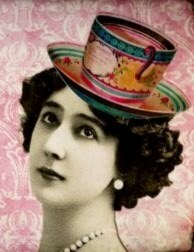 Weather permitting, Vintage Gal Antiques will be opening on weekends in April. It's best to call ahead this time of year.